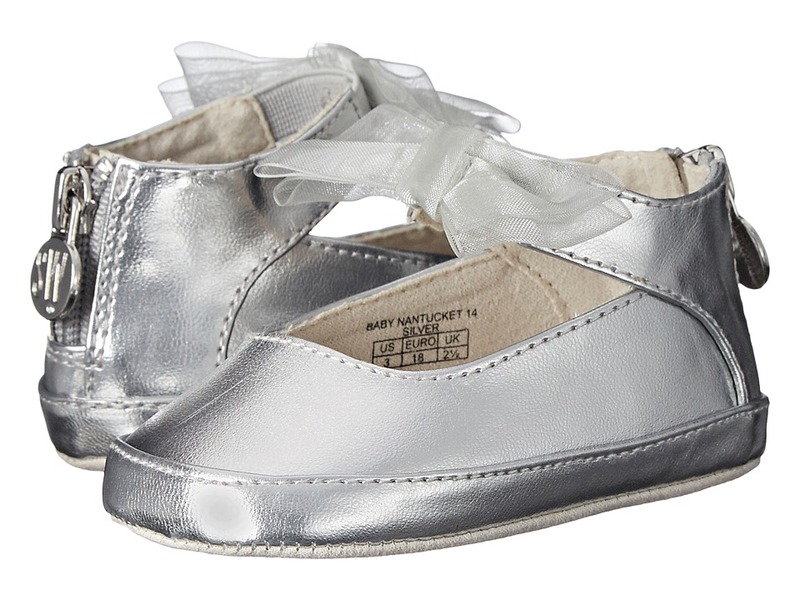 Sail in sublime style with the Baby Nantucket 14 shoe from Stuart Weitzman Kids. Metallic faux leather upper with bow detail. Logo zipper pull on heel counter for easy on and off. Elastic ankle strap for a secure fit. Breathable textile lining and cushioned insole. Logo printed on textile outsole. Imported. Measurements: Weight: 1 oz Product measurements were taken using size 3 Infant, width M. Please note that measurements may vary by size. Weight of footwear is based on a single item, not a pair. Every special occasion deserves the style and grace of the Verna Alexa heel from Stuart Weitzman Kids! Glitter synthetic upper. Ankle strap for added support. Zipper closure for easy on and off. Synthetic lining with lightly cushioned footbed. Synthetic outsole and small heel. Imported. Measurements: Heel Height: 2 in Weight: 6.5 oz Product measurements were taken using size 5 Big Kid, width M. Please note that measurements may vary by size. Weight of footwear is based on a single item, not a pair. 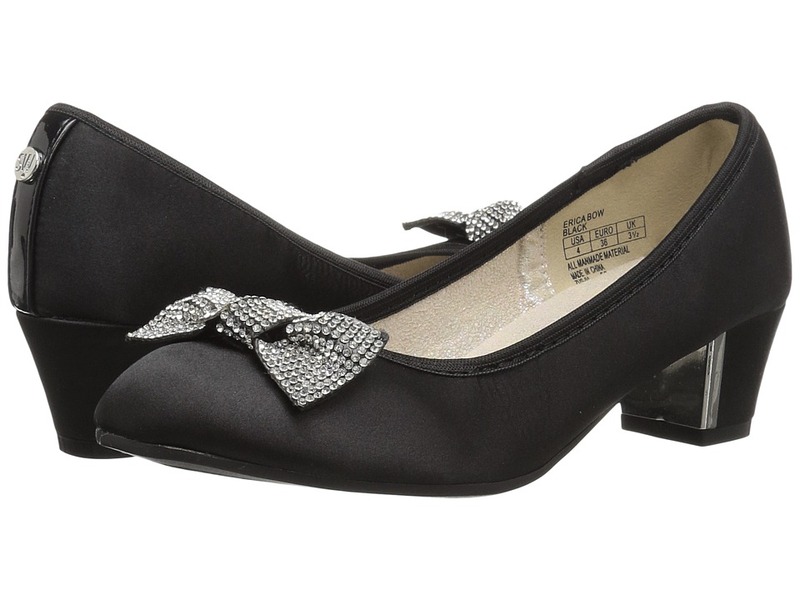 Set the bar high for stylish expectations with the Stuart Weitzman Kids Fannie Ballerina flats. Glitter fabric upper with bow accent. Round toe ballet flat. Slip-on for easy on and off. Man-made lining and insole. Logo on heel rivet. Flexible rubber outsole. Imported. Measurements: Weight: 4 oz Product measurements were taken using size 2 Little Kid, width M. Please note that measurements may vary by size. Weight of footwear is based on a single item, not a pair. Every special occasion deserves the style and grace of the Penelope Nola heel from Stuart Weitzman Kids! Heels in a manmade upper. Ankle strap with buckle for added support. Zipper closure for easy on and off. Manmade lining with lightly cushioned footbed. Low block heel with manmade outsole. Imported. Measurements: Heel Height: 1 in Weight: 6 oz Platform Height: 1 4 in Product measurements were taken using size 12 Little Kid, width M. Please note that measurements may vary by size. Weight of footwear is based on a single item, not a pair. 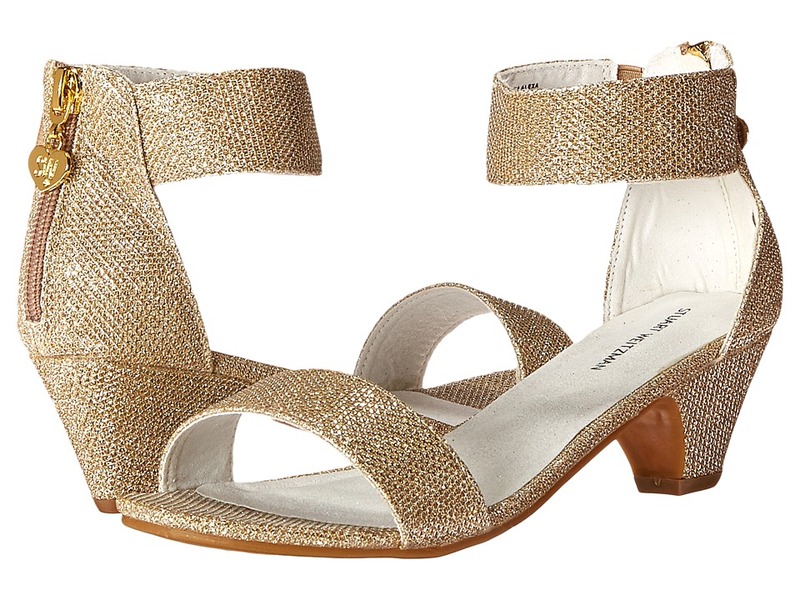 Sparkle in the sun in the wedges from Stuart Weitzman Kids! Wedge sandal in a synthetic upper. Braided crisscross strap. Open-toe silhouette. Back zip closure for easy on and off. Synthetic lining. Lightly padded footbed. 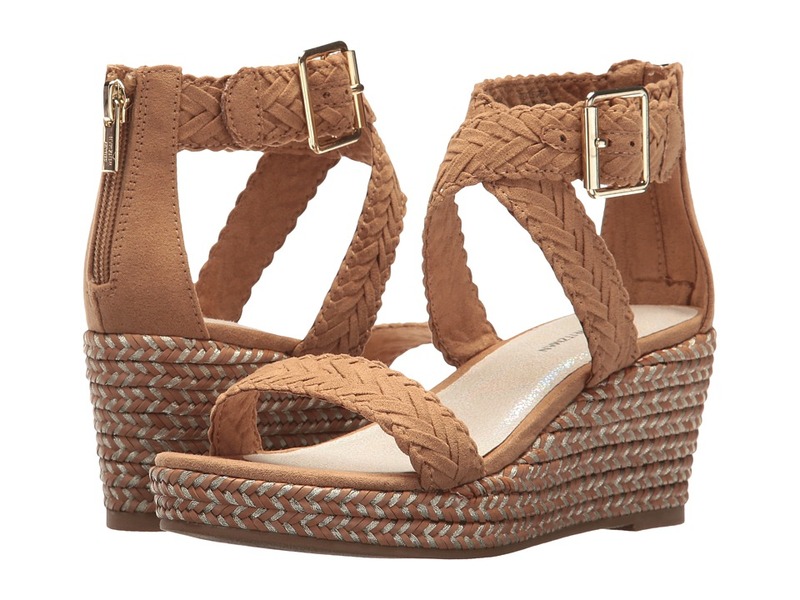 Jute-wrapped wedge features interwoven glitter detail. Synthetic sole. Imported. Measurements: Heel Height: 2 1 2 in Weight: 11 oz Product measurements were taken using size 2 Little Kid, width M. Please note that measurements may vary by size. Weight of footwear is based on a single item, not a pair. Sparkle with fun in the sun! Wedge sandal in a textile upper. Stitched details around wedge. Open-toe silhouette. Buckle closure at ankle for adjustable fit. Synthetic lining. Lightly padded footbed. 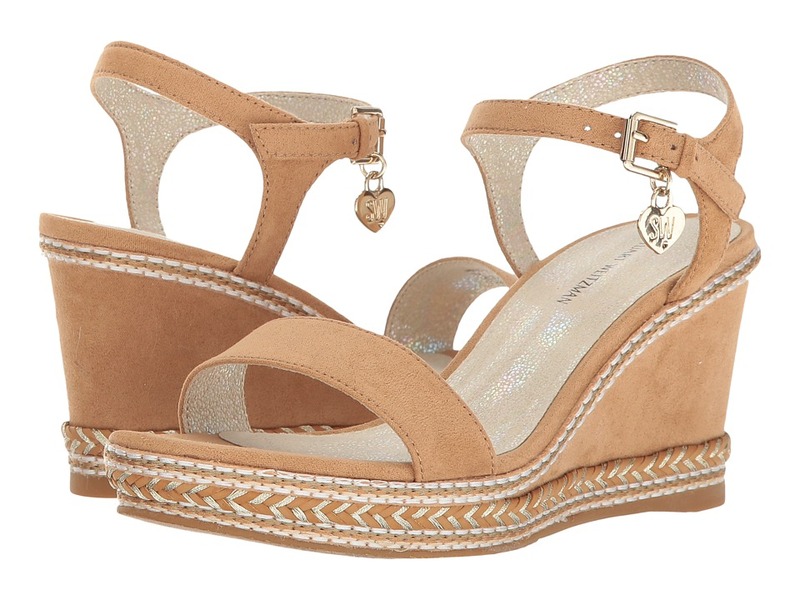 Textile-wrapped wedge features interwoven glitter detail. Synthetic outsole. Imported. Measurements: Heel Height: 2 3 4 in Weight: 7 oz Platform Height: 3 4 in Product measurements were taken using size 2 Little Kid, width M. Please note that measurements may vary by size. Weight of footwear is based on a single item, not a pair. Casual with a touch of glamor! 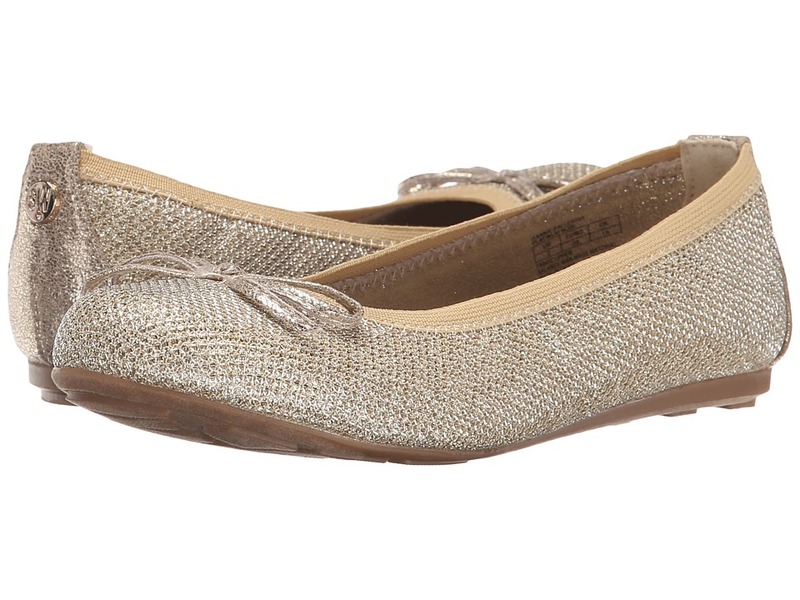 They~ll love the laid-back style of the Stuart Weitzman Kids Vance Glitz shoe! Slip-on silhouette. Elastic gore insets. Synthetic uppers with rhinestone detailing. Padded footbed for added comfort. Rubber outsole for long-lasting wear. Imported. Measurements: Weight: 9 oz Product measurements were taken using size 5 Big Kid, width M. Please note that measurements may vary by size. Weight of footwear is based on a single item, not a pair.